Youth suicide and suicidal behaviours are pervasive problems in our society. In her role as researcher, Johanne Renaud, MD, MSc, FRCPC, strives to improve preventative and treatment measures by implementing research protocols on innovative interventions for depressed youth and their families. This includes research into mental health services and interventions for youth at risk of suicide. She published the first Canadian psychological autopsy study on the topic of completed suicide in youth under 18 years of age. She has also been an expert witness on youth suicide for the Canadian government.  In 2003, Johanne Renaud joined the McGill Group for Suicide Studies at the Douglas Institute. In 2011, she was nominated Manulife (then Standard Life) Senior Fellow in Teen Mental Health; as such, she chairs the Manulife Centre for Breakthroughs in Teen Depression and Suicide Prevention. As a clinician, Johanne Renaud holds the title of medical chief for the youth section of the Douglas Institute’s Depressive Disorders Program—a surspecialized service for children and adults suffering from major depression, suicidal ideation or behaviour, or pathological bereavement. In terms of teaching in the fields of medicine and psychiatry, Johanne Renaud oversees the post-graduate training program for child psychiatry of the Douglas Institute for the McGill University’s Faculty of Medicine. This program is intended for residents wishing to specialize in this area. She offers clinical training rotations for pre-graduate medical students (PGY-I and II), and for students in family medicine and paediatrics. This helps students to develop clinical skills and become familiar with the practice of child and adolescent psychiatry. In addition, Johanne Renaud supervises master’s, doctoral, and post-doctoral students wishing to complete studies in this area. Consoli A., Cohen D., Bodeau N., Guilé J.M., Mirkovic B., Knafo A., Mahé V., Laurent C., Renaud J., Labelle R., Breton J.J., Gérardin P. (2015). Risk and Protective Factors for Suicidality at 6-Month Follow-up in Adolescent Inpatients Who Attempted Suicide: An Exploratory Model, Can J Psychiatry, 60(2 Suppl 1), S-27-S36. Knafo A., Guilé J.M., Breton J.J., Labelle R., Belloncle V., Bodeau N., Boudailliez B., Garny de la Rivière S., Kharij B., Mille C., Mirkovic B., Pripis C., Renaud J., Vervel C., Cohen D., Gérardin P. (2015). Coping Strategies Associated With Suicidal Behaviour in Adolescent Inpatients With Borderline Personality Disorder, Can J Psychiatry, 60(2 Suppl 1), S46-S54. Mbekou V., MacNeil S., Gignac M., Renaud J. (2015). Parent–Youth Agreement on Self-Reported Competencies of Youth With Depressive and Suicidal Symptoms, Can J Psychiatry, 60(2 Suppl 1), S55-S60. Tourian L., LeBoeuf A., Breton J.J., Cohen D., Gignac M., Labelle R., Guile J.M., Renaud J. (2015). Treatment Options for the Cardinal Symptoms of Disruptive Mood Dysregulation Disorder - , J Can Acad Child Adolesc Psychiatry, 24(1), 41-54. En savoir plus. The Klerman Prize Honorable Mention honors exceptional clinical research by a NARSAD Young Investigator Grantee. 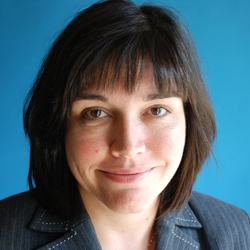 She receives the 2008 NARSAD Young Investigator Award for her works on Patterns and trajectories of suicide attempters in terms of the utilization of health care services. The National Alliance for Research on Schizophrenia and Depression (NARSAD) created the Young Investigator Award to help the most promising scientists who are now entering research to generate pilot data necessary for larger grants. This distinction is presented by the Association des Centres jeunesse du Québec. Vasiliadis H-, Diallo FB, Rochette L, Smith M, Langille D, Lin E, et al. Temporal Trends in the Prevalence and Incidence of Diagnosed ADHD in Children and Young Adults between 1999 and 2012 in Canada: A Data Linkage Study. Can J Psychiatry. 2017:706743717714468. Bergeron L, Smolla N, Berthiaume C, Renaud J, Breton J-, St-Georges M, et al. Reliability, Validity, and Clinical Utility of the Dominic Interactive for Adolescents-RevisedA DSM-5-Based Self-Report Screen for Mental Disorders, Borderline Personality Traits, and Suicidality. Can J Psychiatry. 2017;62(3):211-222. Marschall-Lévesque S, Castellanos-Ryan N, Parent S, Renaud J, Vitaro F, Boivin M, et al. Victimization, Suicidal Ideation, and Alcohol Use From Age 13 to 15 Years: Support for the Self-Medication Model. J Adolesc Health. 2017;60(4):380-387. Geoffroy M-, Boivin M, Arseneault L, Turecki G, Vitaro F, Brendgen M, et al. Associations Between Peer Victimization and Suicidal Ideation and Suicide Attempt During Adolescence: Results From a Prospective Population-Based Birth Cohort. J Am Acad Child Adolesc Psychiatry. 2016;55(2):99-105. Artenie AA, Bruneau J, Roy É, Zang G, Lespérance F, Renaud J, et al. Licit and illicit substance use among people who inject drugs and the association with subsequent suicidal attempt. Addiction. 2015;110(10):1636-43. Mbekou V, MacNeil S, Gignac M, Renaud J. Parent-youth agreement on self-reported competencies of youth with depressive and suicidal symptoms. Can J Psychiatry. 2015;60(2 Suppl 1):S55-60. Artenie AA, Bruneau J, Zang G, Lespérance F, Renaud J, Tremblay J, et al. Associations of substance use patterns with attempted suicide among persons who inject drugs: can distinct use patterns play a role? Drug Alcohol Depend. 2015;147:208-14. Lesage A, Renaud J, Kouassi E, Vincent P. Canadian ADHD black-box warnings. Lancet Psychiatry. 2015;2(12):1057. Rahme E, Low NC, Lamarre S, Turecki G, Bonin J-, Daneau RN, et al. Attempted Suicide Among Students and Young Adults in Montreal, Quebec, Canada: A Retrospective Cross-Sectional Study of Hospitalized and Nonhospitalized Suicide Attempts Based on Chart Review. Prim Care Companion CNS Disord. 2015;17(5). Mbekou V., MacNeil S., Mikedis T., Malinski C., Zanga J., Renaud J. Family Functioning and Parental Invalidation of Depressed Adolescents with Borderline Personality Disorder Traits. J Child Adolesc Behav. 2015;3:1-7. Tourian L, LeBoeuf A, Breton J-, Cohen D, Gignac M, Labelle R, et al. Treatment Options for the Cardinal Symptoms of Disruptive Mood Dysregulation Disorder. J Can Acad Child Adolesc Psychiatry. 2015;24(1):41-54. Knafo A, Guilé J-, Breton J-, Labelle R, Belloncle V, Bodeau N, et al. Coping strategies associated with suicidal behaviour in adolescent inpatients with borderline personality disorder. Can J Psychiatry. 2015;60(2 Suppl 1):S46-54. Consoli A, Cohen D, Bodeau N, Guilé J-, Mirkovic B, Knafo A, et al. Risk and Protective Factors for Suicidality at 6-Month Follow-up in Adolescent Inpatients Who Attempted Suicide: An Exploratory Model. Can J Psychiatry. 2015;60(2 Suppl 1):S27-36. Renaud J, Séguin M, Lesage A, Marquette C, Choo B, Turecki G. Service use and unmet needs in youth suicide: a study of trajectories. Can J Psychiatry. 2014;59(10):523-30. Seguin M., Lesage A, Renaud J, Turecki G. Trajectory-based models in the study of suicide, Part III. In: Cutcliffe J.R, editor. Abingdon, UK: Routledge, Taylor & Francis Group; 2014. 1. p. 198-209p. Mbekou V, Gignac M, MacNeil S, Mackay P, Renaud J. The CBCL dysregulated profile: an indicator of pediatric bipolar disorder or of psychopathology severity? J Affect Disord. 2014;155:299-302.